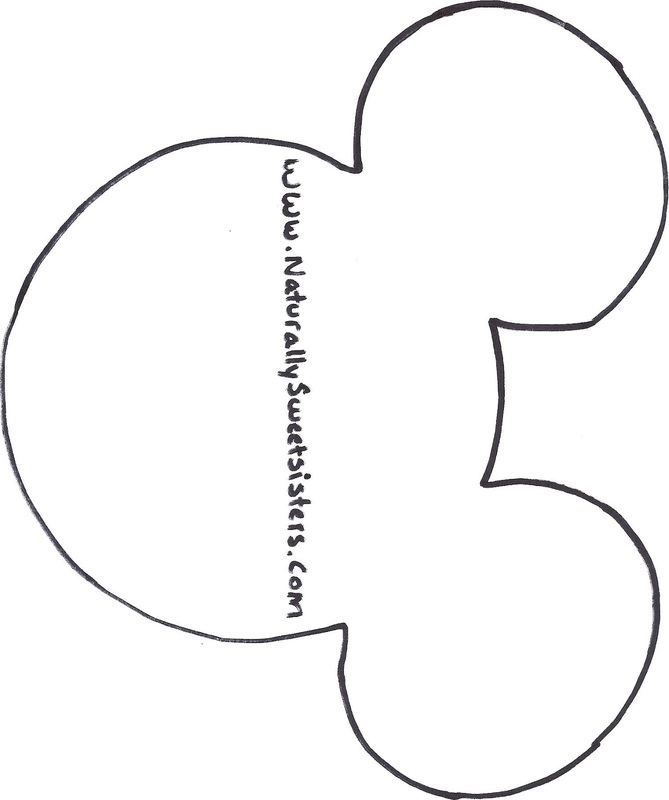 Naturally Sweet Sisters: Disney and Diabetes Part 4 - Identify Your Team and Make Some Family Shirts! Disney and Diabetes Part 4 - Identify Your Team and Make Some Family Shirts! Each Shirt Cost Only About $5.00 to Make! Disney and Diabetes - Yes You Can!!!!!! This is one blog post of a multi- part series on Disney and Diabetes- Yes, You Can!!! Now that you have your hotel (Part 1), your dining options (Part 2) and your packing list started (Part 3), you can sit back and focus on the fun of planning for your Walt Disney World vacation. Heat Bond (found at JoAnn Fabrics or Hobby Lobby for around $3.00). Plain T-shirts (we chose white, but any color will work. In fact, one reader mentioned how easy it was to find her family because of their brightly colored t-shirts at Walt Disney World). Look for a sale on these. We bought 3 t-shirts for $9.00 over the first week of January. The sales clerk told me that this tends to be a monthly special. A Mickey Mouse Ear Template and brightly colored cotton fabric. Access to a sewing machine or ability to hand stitch to secure the transfer and applique into place. Heat Bond is a cool invention designed to help you work with appliques without shifting or moving. My kids call this the instant sticker maker! It's pretty awesome! 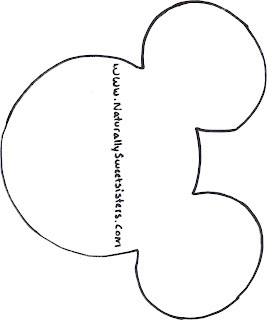 You can use your printer to make various sized prints of the mickey mouse ears. Just reduce the size that you want to print until you get exactly what you are looking for. Now, before you get started, I would advise washing your t-shirts and fabrics that you plan on using for the applique. This will help to avoid bleeding and shrinking and should enable you to wear your shirts long after your Disney vacation has ended. Once﻿ you have your sticker ready to go, simply place it on the t-shirt in any location that you would like. Be sure to peel off the white transfer paper backing. Then, heat your iron (no steam) to a high heat setting and press down for about 2-3 seconds or until the transfer sticks to the shirt. Then, using your sewing machine, stitch around the outline, securing the applique into place. This can also be done with a hand stitch. For a neat, professional look, use a contrasting color thread and zig-zag stitch setting. As you can see, my youngest daughter made a free hand design for a crown and an initial. Repeat the iron on/transfer method to secure the accessories in place and again, stitch to make permanent. Disney and Diabetes Tip: If you have a pumper who will be wearing shorts without pockets or one who wants freedom while at the parks of pouches and packs, consider stitching a small pocket into the side of the t-shirt to hold the insulin pump. My girl's love this on tank tops as well. Disney and Diabetes Tip: When the shirts are complete, consider making a safety pinned emergency card. Put this on BEFORE you pack the shirt into the suitcase. That way it will simply be one less thing to think about when you get to Disney World! Not to be outdone, we made a few for the Naturally Sweet Dad as well. Notice the fun tie? Well, we thought it would be cute to make him a tie shirt as he wears one everyday at the office. Only this one is much more fun! We also purchased two plain white pillow cases from our local Target for $9.99. The pillow cases came in the cute white drawstring pouch, which we up cycled into an autograph pen holder. For the pillowcases, we simply appliqued more mini mickey mouse heads around the front and back, leaving a space (not shown in the pictures) for the Naturally Sweet Sisters to autograph and write their own names. Our plan is to take these into the parks to have the Disney Characters sign. I think it will be a fun alternative to the typical autograph book and hopefully, something useful that our children will love to use long after our trip is over. Hope this gives you some fun ideas for making your own family souvenirs. Come back tomorrow for even more exciting trip planning! I am loving this series!!! Thanks Emily! I am having so much fun writing it. The weather here has become very chilly again, so having Walt Disney World to think about has been the perfect answer to staying warm!